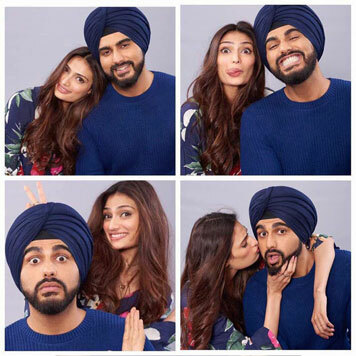 While Arjun has already carved a niche for himself, Mubarakan happens to be Athiya&#39;s second big screen outing post Hero. The makers recently teased the first look of the two from the film as Charan and Binkle and got the fans&#39; curiosity piqued. Arjun Kapoor is all set to play twins &#39; Charan and Karan &#39; in Anees Bazmee&#39;s next, &#39;Mubarakan&#39;. Interestingly, one of the judwaa brothers is a Sardar. Arjun, who is playing a Sikh character for the first time, has undergone extensive preparation for the role before he begins shooting in Chandigarh this week.